The father of the world’s most modern management and the creator of the employees first philosophy, Vineet Nayar will be tapping into the theme of culture at Nordic Business Forum 2016. 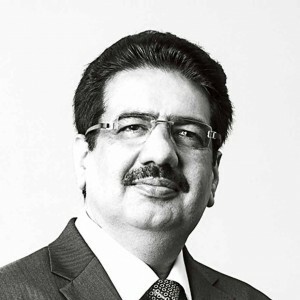 You may have heard the saying “Employees First, Customers Second”, but what you might not have known is that the man behind this philosophy is an Indian business executive Vineet Nayar. Nayar is the former Chief Executive Officer of HCL Technologies, a $6 billion global information technology services company based in India. During his presidency at HCLT, Nayar led his team through a period of remarkable transformation driven by the employees first philosophy. The transformation led the company’s revenues and market cap grow by six folds. After the transformation, HCLT has become one of the fastest-growing and profitable global IT services companies in the world. Nayar came up with the unconventional management approach with the realization that the employees who interact with customers are the ones creating value for the customer. Nayar writes in one of his Forbes articles that these employees are working in a value zone and in this value zone they are capable of creating more or less value. The new type of management thinking arouses interest among the world’s leading business leaders and today Nayar is widely recognized and respected global thought leader. He has received many honors and awards including selections on Fortune’s first ‘Executive Dream Team’ List and Thinkers 50 List. At Nordic Business Forum 2016, Nayar will be speaking under the theme of culture on the employees first philosophy. In case you want to have a sneak peek of what the approach is all about, we recommend you read his book Employees First, Customers Second: Turning Conventional Management Upside Down. Nayar contemplates in his HBR article Don’t Let Outdated Management Structures Kill Your Company about the shifts happening in the organizational structures and management today.